Hello again everyone. For my Day 2 post I can really only tell you what me and the girls got up to, maybe if some of the boys find a computer they will reply to the post with some news of what they are doing, but lets not hold our breath! 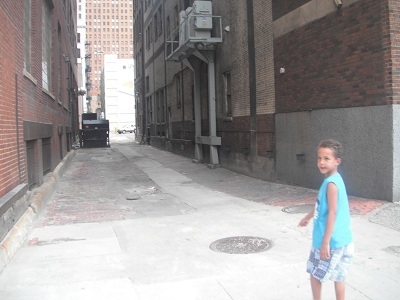 So our first host Lynn took us all with her two boys, Tyrell and Tyreese to downtown Detroit yesterday mainly to pick something up at her office and also to show us a few sights. Now this may sound like a very boring chore of a trip to go with her to her office, but it is worth mentioning that she works in the U.S. District Attorneys Office which was based on the 26th floor of her building so that was all kinda cool in itself. 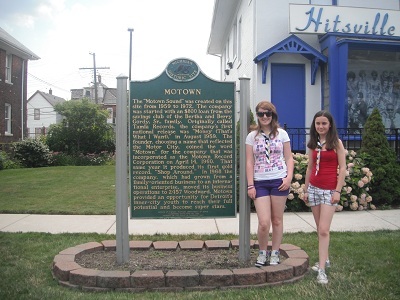 On the way there we stopped in Hitsville to see the Motown museum, it was closed for tours but even seeing the building I thought was pretty interesting until about half an hour later Emma asked what Motown was? 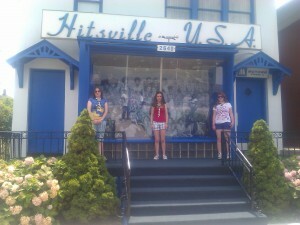 So after Hitsville we got back in the car (thank god for air conditioning) and headed to Lynn’s office. After she had picked up a few papers we went to Hart’s Plaza and Lynn pointed out things of interest on the way. 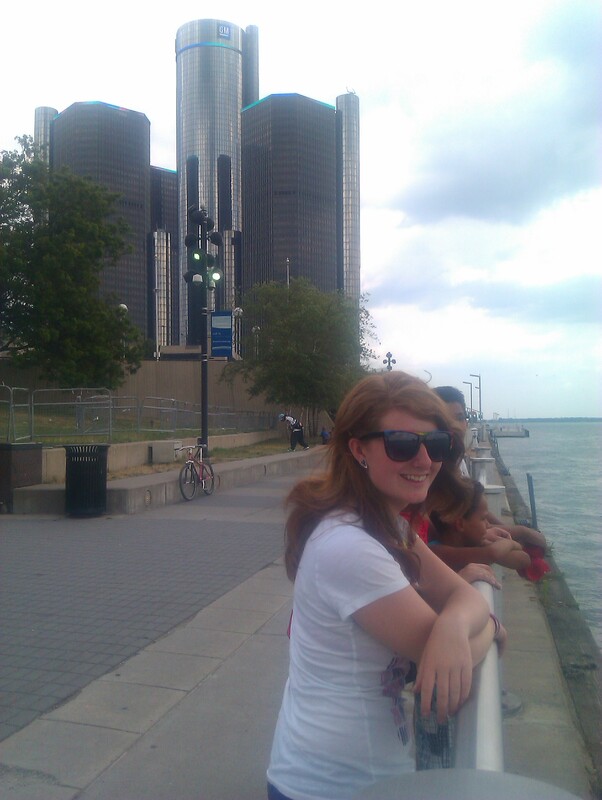 We saw the building and alley where Real Steel was filmed, we saw the convention centre (which was massive), and we saw the General Motors building. 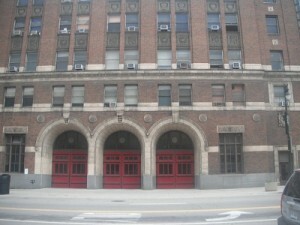 Here are a few photos of Hart’s Plaza which is where they have free concerts, the river and just a stones throw across the river Canada. 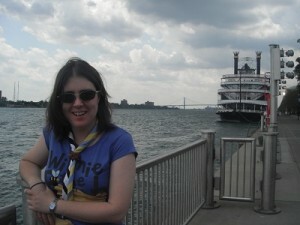 A trivia fact is that apparently this is one of the only places in the US where you go south to get into Canada. 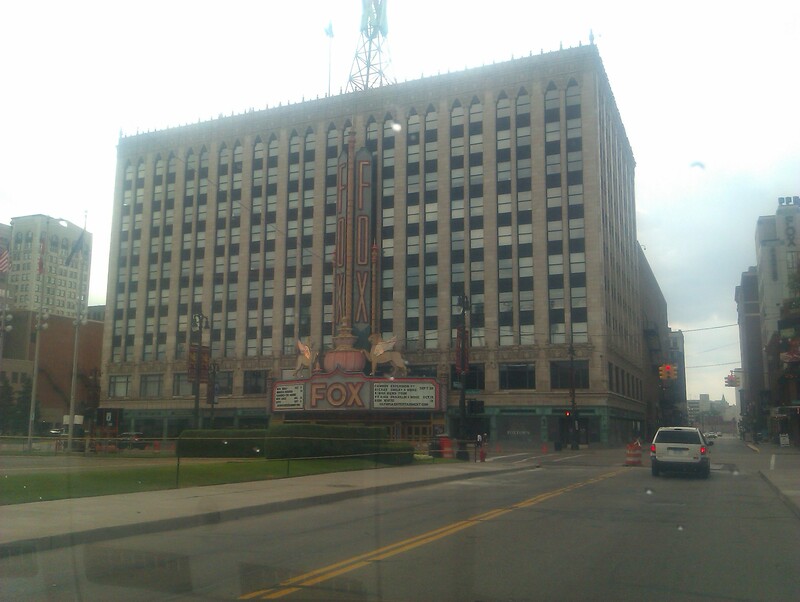 On the way home we drove by the Detroit Opera House, Coamerica Park, the home of the Detroit Tigers (Baseball), and the Fox theatre. We were also told that we had been on both the East and West sides of Downtown Detroit. So all in all a pretty good tour of Downtown Detroit. From what I have heard the others did a variety of things like go to Taco Bell, get twinkies, go to a skate shop and go swimming, so everyone is having a good time. 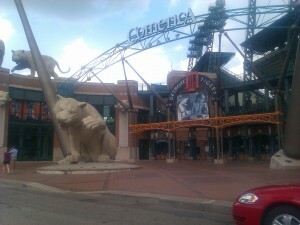 When we got home we had some lunch, watched Real Steel and then I was collected to go to the Leaders Dinner and meeting. At this I met the leaders from Canada (Davey and Chris) and the leader from Bonaire (Tikka). We went to restaurant called the Golden Feather which is apparently famous for its ribs, which I have to say were pretty good. The portion sizes were also amazingly big, everyone went home with a “to go” box. After dinner we had a quick meeting about plans for the rest of the week, we have our swim test today and the Lansing tomorrow, a group picnic on Wednesday and Cedar Point on Thursday, on Friday we might be going to a major league baseball game and then Sunday we leave for camp. That’s all for now, will post again soon. Well I can tell you what Conor, Connor (Bazzle) (who cannot spell his own name), Daragh and myself were up to. We started by going to church. It was really good. The Impact band, which was a 3 people with electric guitars and one drums, were playing the service. We got a huge welcome by the pastor at the beginning of the service. The welcome started with “top of the morning to ye” and went up hill from there. The music throughout the service was radio-standard and very hip (Connor’s choice of word). 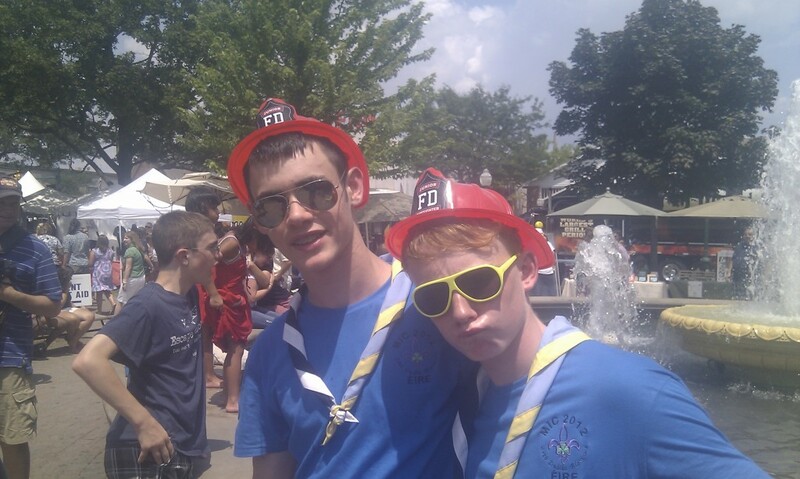 ‘meet’ Conor G who is a charming and handsome young man and the rest of the Irish scouts… but especially Conor G.
Kevin: Back to me again. After church we heading into the center of Plymouth township for a craft fair. They had closed off a few town blocks and the main town square for it. 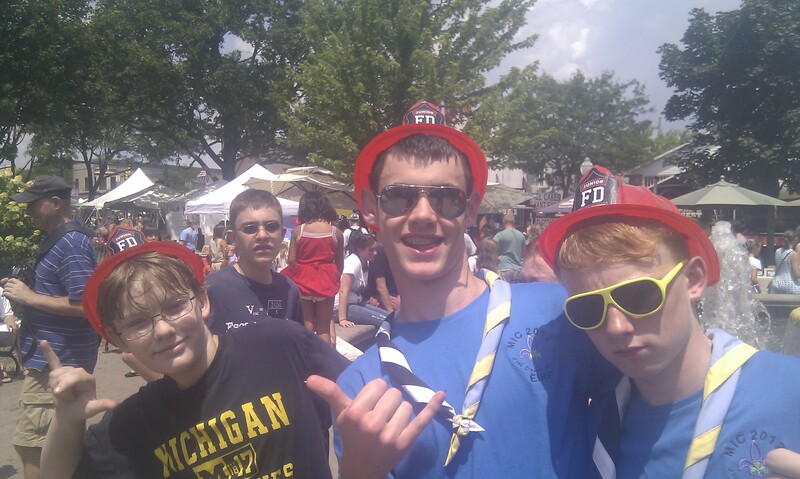 We all got fireman hats (#swag), which I’ve appended to the original post as commenters cannot add photos. We then headed off to Taco Bell to complete Bazzle’s American experience. I can only quote Bazzle on this matter: “Taco Bell was life changing”. At Meijers, a large store (we are in the USA so think Ikea large), Conor G bought a large Mag Light. Not only is it a good flashlight, its size makes it a good ‘riot-stopper’ (weapon) too. We then chillaxed with our host family the Hicklings, who I forgot to mention earlier are the best people. My phone is currently breaking. Will upload the photos tomorrow. Long day ahead need some sleep.